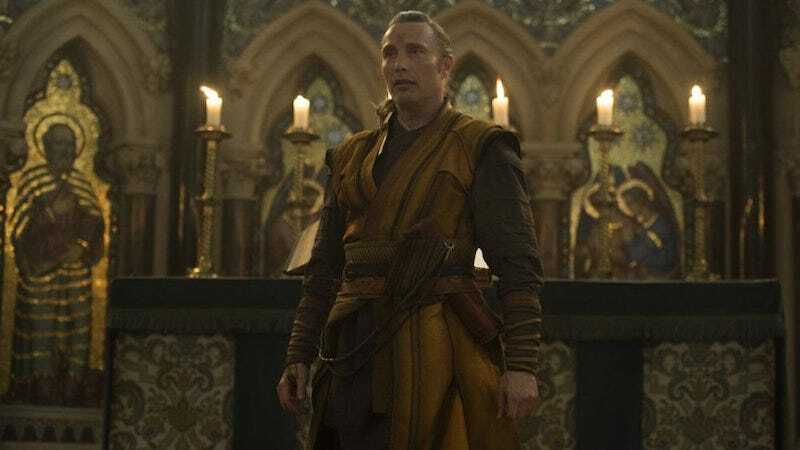 In Doctor Strange, Kaecilius (Mads Mikkelsen) spends a lot of the movie trying to get everything he needs to summon the evil Dormammu from the Dark Dimension. In this cut scene, he and his followers attempt the ritual. Except for one very stupid one. Kaecilius finds your lack of faith disturbing, I guess. I find that there’s nothing quite as hilarious as Mads Mikkelsen casually delivering lines about long, slow natural deaths. I wish we’d had more of this in the movie, even if Scott Derrickson is right that this scene wasn’t plot essential.